While some call it Annihilationism, simply stated, Conditional Immortality is the biblical belief that the immortality of the soul is not inherent (Greek thinking) but conditional (Biblical thinking) upon receiving the gift of everlasting life through faith in Jesus (Yeshua). It is part and parcel of the gospel. God alone has immortality-anyone else becomes immortal only as a result of God’s gracious gift (1 Timothy 6:16, Romans 2:7). Paul clearly links immortality to the gospel. Paul did not believe the Greek philosophy of his day which taught the immortality of all souls. Again, why would Jesus Himself make this plain offer to “live forever” if everyone lived forever? It is important to note that in Hebrew, the word for “life/soul” (nehphesh) is never used in conjunction with the word “everlasting” in Tanach (The Hebrew Scriptures/Old Testament). Again it is an assumption (based upon Greek philosophy)that the soul of mankind is eternal and can never be destroyed. 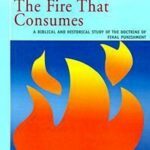 Again I ask you to read through all of the articles here to see how unbiblical the concept of the immortality of the unsaved soul is. Immortality is reserved only for those who put their faith in Jesus (Yeshua). All the rest are destroyed (not preserved), (Matthew 10:28) after a period of time. They will suffer no more / no less than their sins deserve-then will be destroyed forever – just as the Messiah foretold. And before you may falsely conclude that those who hold to Conditional Immortality believe the lost do not suffer at all for their sins, it is very obvious that they do. The future they face on judgment day is 1) suffering in proportion for their sins then 2) destruction. Yet all the lost will not receive same amount of suffering for their sins before they are destroyed. God will see that they receive the exact amount of “stripes” they deserve. 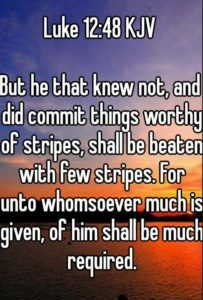 Some (like Hitler) will receive very many “stripes.” Others will receive “few” as Yeshua (Jesus) says. After they have received their appropriate “stripes,” then they will “perish” as John 3:16 states. (“perish” or “apollumi” in Greek: be destroyed). The wages of sin is death (Romans 6:23, Revelation 2:11), not eternal existence in torment. Ezekiel states clearly that “the soul that sinneth, it shall die” (Ezekiel 18:4), and a plethora of other Bible verses and passages endorse this position. Also, in regards to suffering, scripture seems to indicate that what the lost have suffered here on earth, for their sins, may actually count as partial payment then (Isaiah 40:2). Additionally, when we look at what Messiah Jesus did for us, in suffering for us, His suffering took place in this world, so it is clear that His suffering in this world will count as credit for believers in the next world. Because we believe that Jesus suffered and died for us here (and that is the gospel), therefore, it is a safe assumption to believe that unbelievers who suffer terribly in this life will have that suffering count towards the payment for their sins. This alone helps explain why some (not all) sinners suffer in this world. Better to pay for it here than there. However, do not believe for a moment that those who hold to Conditional Immortality believe there is no payment for those who have done evil in this life. There will be! Justice, in its proper amount, will be served. No more, no less, for God is Just. Getting back to the concept of immortality. If you read John’s gospel and think of the concept of immortality whenever you hear Jesus (Yeshua) speak of offering “life,” it will make complete sense. I challenge you to read John’s gospel and mentally insert the concept of “immortality” whenever you read of Jesus (Yeshua) offering “life.” It makes complete sense. 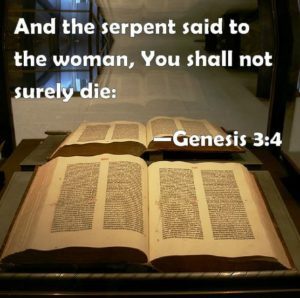 Interestingly enough, it was the serpent who was first to suggest that sinners would not die, “And the serpent said unto the woman, Ye shall not surely die” (Genesis 3:4). Sadly, this is the same lie being told today, that everyone lives forever. Therefore, apart from the gospel, there is no immortality. Please read next chapter: Are all souls born immortal?